We love words, but find they cheat us too often by falling somewhere between overused and rarely understood. Upon occasion, there’s the turncoat that is its own synonym (take inflammable, which means both capable of burning and also unburnable). And then there are the words that have been rinsed of their meaning through overuse (like great, awesome). Too often, new ideas are assigned words by financial analysts or policy wonks instead of poets. Take provider, a word we disdain in health care. I don’t want to be cared for by a provider, and I suspect neither do you. Yet we can no longer say doctor—as we must include nurse practitioners and physician assistants. We often opt for caregiver out of despair, because it suggests the more tender side of health care, though we know it comes dangerously close to caretaker (think cemeteries). All of this is why Brad Leithauser’s Unusable Words article in The New Yorker resonated with us—and perhaps will with you as well. It’s also why we lean on pictures to deliver messages, because they can say so much more in such a short time. So tell us, what word would you like to see replace that heartless word provider? We love words, but we also fear them. They have so much power, and so often are used carelessly. In their best light, words can set off a new direction in a person’s life—can shape a company or lead a cause. At its worst, they can destroy. That’s why we are sharing this insightful Harvard Business Review article by Douglas Conant—Leaders, Choose Your Words Wisely. In this powerful piece, Conant references seven memorable touchpoints that were life-altering for him—32 words total, 20 seconds of conversation total. One might argue that those of us whose business it is to use words with care should hold ourselves to an even higher standard. But whether you’re a leader, a professional communicator, a friend or a parent, you have the chance to shape the life of another for the better with your words. What life-changing words from leaders have you been shaped by? David Ogilvy, the iconic advertising maven and founder of Ogilvy & Mather, understood the power of good writing and knew how to inspire it. 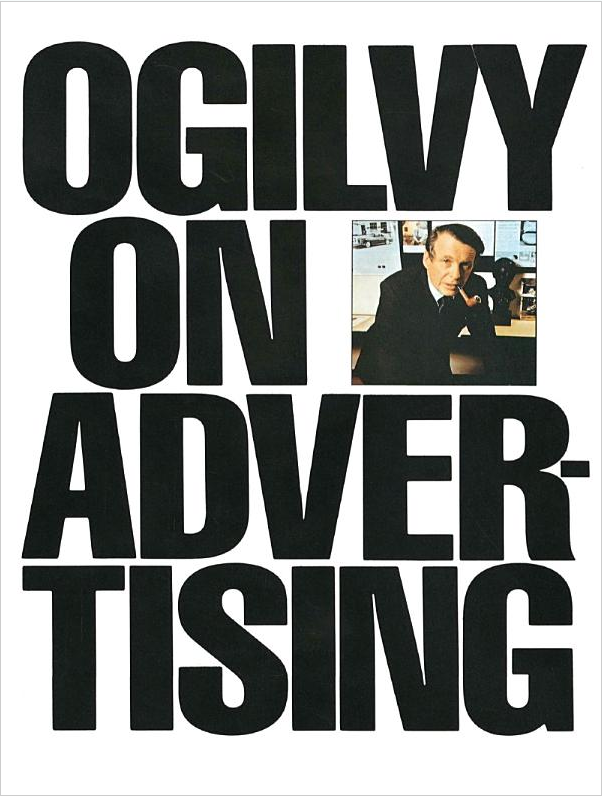 His classic book, Ogilvy on Advertising, is one of my favorites in the industry, and it has stood the test of time. For those aspiring writers—or those who hire writers to tell their organization’s story—this little easy-to-read book is a must read. Today I’ll share excerpts from an internal memo on writing for business. The demand for good writing is only growing, and businesses represented by people who know how to write well will have a competitive advantage. Long paragraphs are visually ugly. Solid, uniform blocks of text, no matter how cleverly phrased, don’t engage readers like short paragraphs do. You might be tempted to wantonly chop up a paragraph that’s too long. Unfortunately, doing so disrupts flow. So how can you keep your paragraphs short? It’s better to adapt a mindset of forward motion. Paragraphs represent ideas, and a new paragraph is a gift to the reader. It’s a chance to hear something new. Readers are busy, so don’t expect them to trudge through a long paragraph just because you wrote it. Give them something fresh with each new paragraph, and keep the paragraphs short, so they continue to be drawn in. A few weeks ago, we offered a list of elements to include in your social media policy. But for a short, easy-to-recall guideline, you can’t beat the clever 12-word policy offered by Farris Timimi, MD, medical director for the Mayo Clinic Center for Social Media. What embarrassing social media mistakes have you seen in business? Should you ever break the rules of grammar? Professional writers know that there are some rules to break (but only intentionally) and others that should never be broken. Misusing words is a common mistake of the neophyte, and rather than serving a linguistic purpose, simply hurts one’s credibility. This time we’ll continue with our list of some of the items you might want to include in your social media policy. 11. Support claims with data, when possible. 12. Stay within the law on copyright, trademark or other legal matters. 13. Use impeccable grammar, a polite tone and accurate facts. 14. Don’t take a public position on things that aren’t approved by your management. 15. Don’t engage in controversial conversations. 16. Don’t use the company brand to endorse a personal opinion or cause. 17. Remember that once something is posted it is public, so think carefully before posting anything. 18. Don’t participate in personal social media interactions during work time. 19. Don’t post work that is a product of your company and display it as your own work. 20. Don’t develop your own blog or website that promotes work similar to what your employer pays you for. As you develop guidelines for your official social media commentators, remember to clearly identify who can post comments and to outline how negative and anonymous posts should be handled.